Piano Opening Hours: Daily 24/7. Piano donated by Catherine Mylrea and decorated by Spectrum Migrant Resource Centre & MRC North West Settlement Group. Hosted by Broadmeadows Civic Plaza. This piano has been moved to a slightly different location. 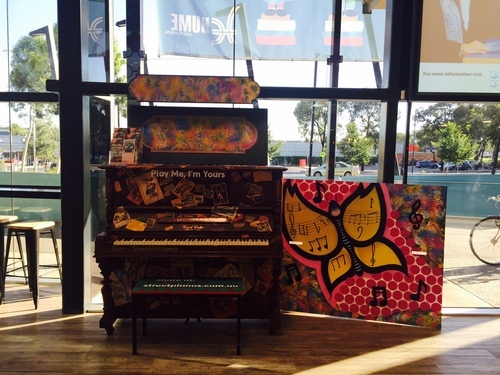 Some of the artwork from the original piano is on display beside the replacement piano. Sadly the original piano had a little damage so it was replaced with this lovely old joanna and was moved in doors. 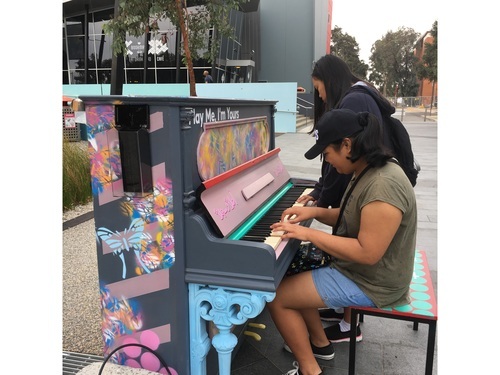 On their way to the library, these girls were pleasantly surprised to find a piano in the civic plaza. 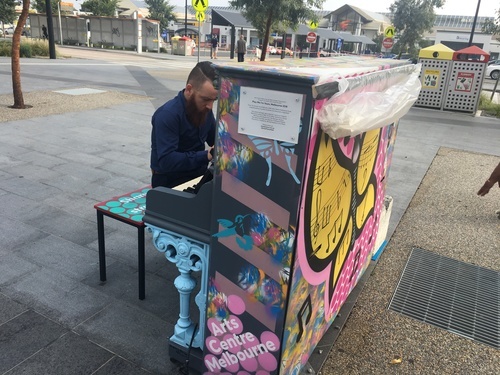 They had a lot of fun playing out in the open space, which drew passers-by; strangers compelled to compliment them on their musical ability, with at least one joining-in for a piano duet. Music is a universal language, one that connects people from all walks of life. This open space installation is a fantastic concept, one that truely resonates. Steven Mansoor On piano in Broadmeadows - beautiful! 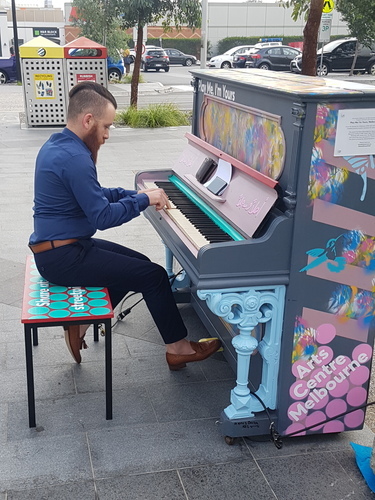 It was a great pleasure to be part of this great project and to being this amazing piano to the streets of Broadmeadows!! Well done everyone. 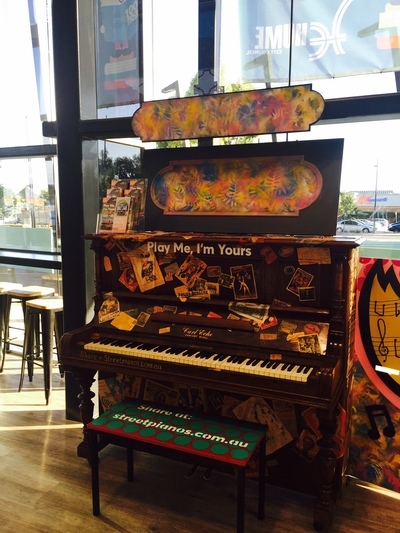 The piano was decorated by a small group of newly arrived young people from Syria. The young people arrived in Australia as refugees in 2017 and have begun their settlement journey in the Hume area.